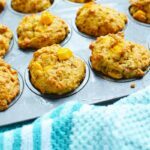 These Mango Muffins are so moist and delicious and are perfect for breakfast, brunch or snacks. 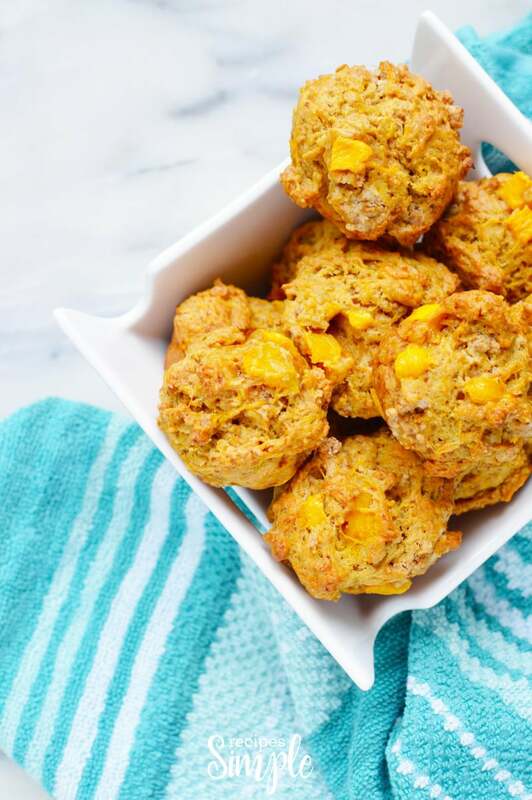 If you are tired of making the same old muffins and are looking for a new recipe to try then bake a batch of these Mango Muffins to give your taste buds a real treat. 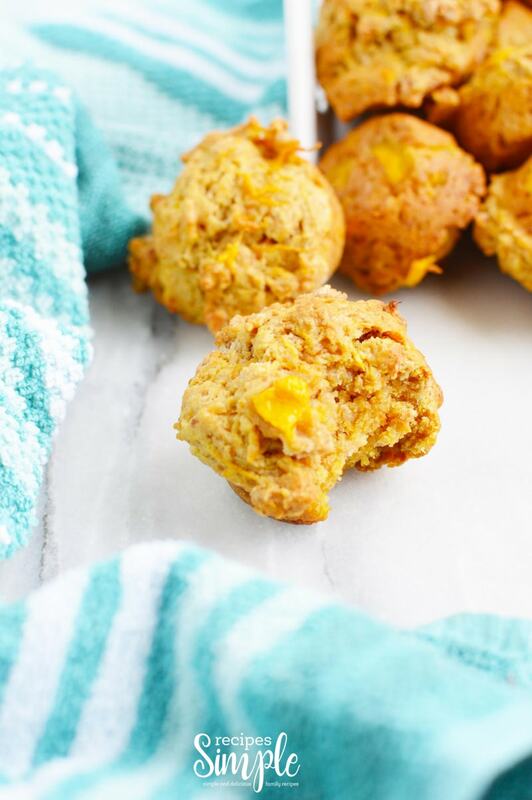 These are bursting with mango flavor and are simple to make. My favorite thing about this recipe is that you can seriously just throw everything in at the same time, mix it up and they come out perfectly every time! One bowl recipes are such a time saver. To start you’ll need to cut your mango. 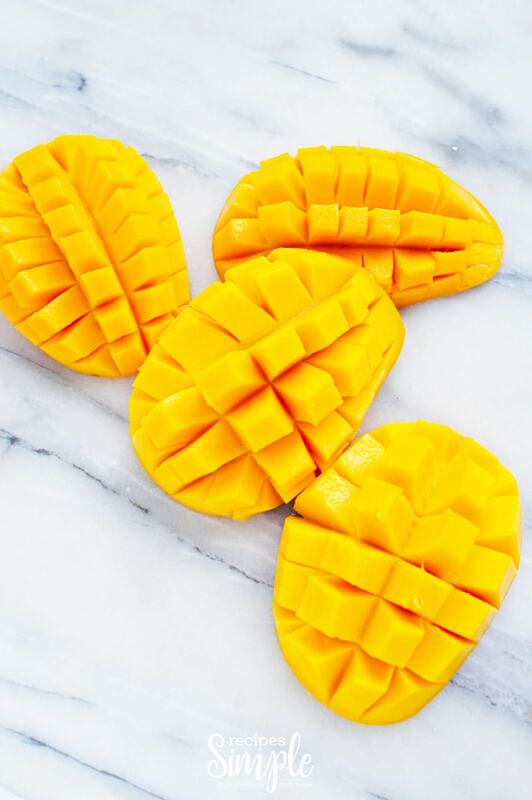 Learn how to properly cut a mango here. 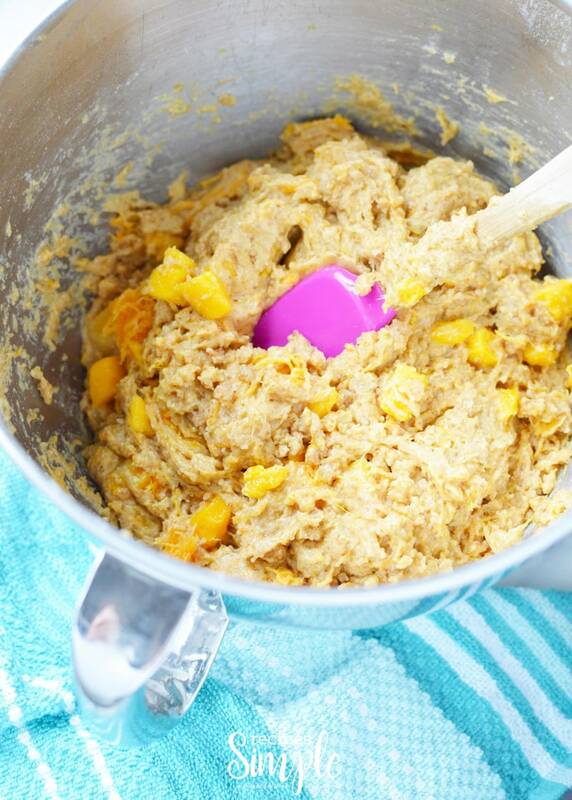 In a mixing bowl add the mango, sugar, brown sugar, all purpose flour, salt, eggs, baking soda, and butter. Stir until all ingredients blended. 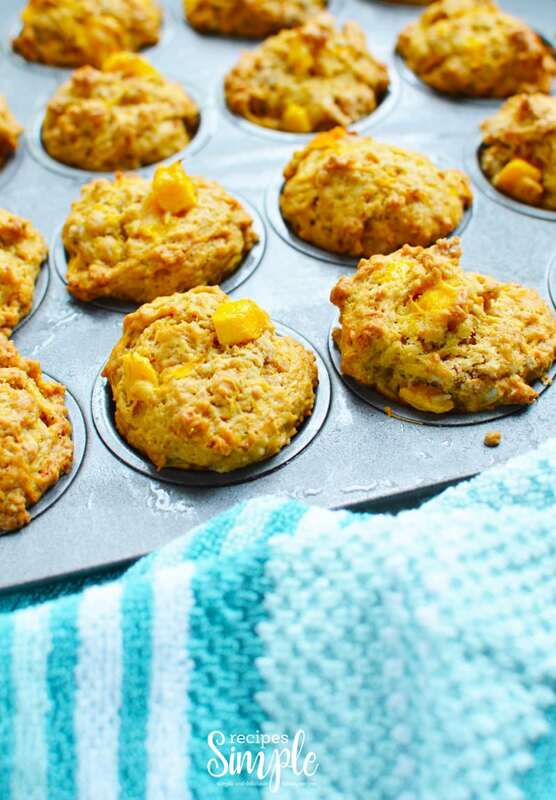 Grease the muffin tin and then scoop or spoon the batter into the muffin wells. Bake for 15 to 17 minutes, or until golden brown on top and a toothpick comes out clean when testing the center. 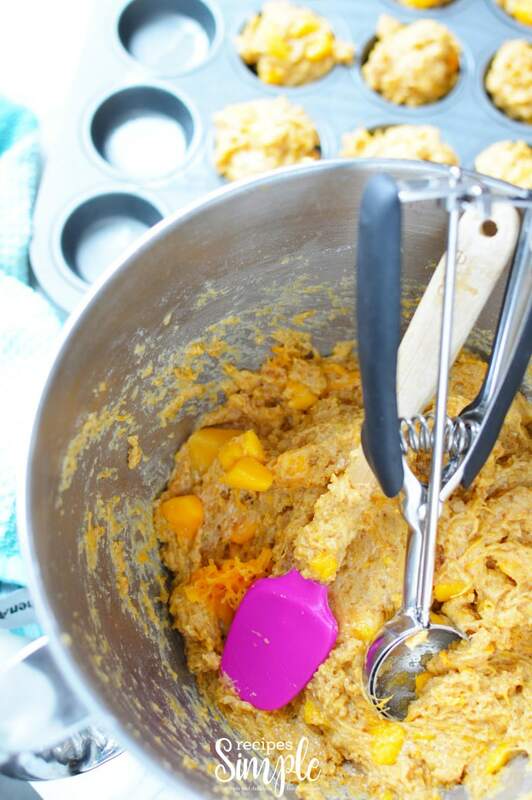 In a mixing bowl add all ingredients and stir until combined. Let cool for a few minutes before sharing with friends & family.